Lawyers in San Diego County offering our clients professional, successful legal representation. At the Law Offices of Alspaugh & Alspaugh, we provide experienced and highly personalized legal services for individuals and businesses. We are pleased to represent clients throughout Southern California, including San Diego County, Riverside County, Orange County, Imperial County and Los Angeles County. If you need to speak with a lawyer about your legal matter, contact our office in El Cajon, California. For assistance, call (619) 441-8501 or send us an email. An Experienced Attorney Willing to Provide Personal Service. If you or your business needs legal counsel, you want advice you can trust and rely upon. You want an attorney with the necessary experience and sophistication to handle your case with the highest degree of prudence and care. The Law Offices of Alspaugh & Alspaugh has been in business for over 40 years. Founded by George A. Alspaugh, Sr., the firm was built upon the goal of providing personal service and establishing long term relationships with it’s clients. Today, George A. Alspaugh, Jr. carries on the tradition established by his father. He has significant experience in transactions, negotiations and litigation. 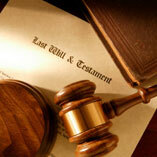 If you need help with an estate planning, probate, business, personal injury or bankruptcy matter, our firm can help. If you need to speak with an attorney about your case, we are pleased to offer a free consultation. To contact the Law Offices of Alspaugh & Alspaugh, call (619) 441-8501 or contact us by email. We serve clients throughout San Diego County, East County, Riverside County, Orange County and Los Angeles County, including El Cajon, Lakeside, Alpine, La Mesa, Jamul, Ramona, Point Loma, La Jolla, Mission Hills, Mission Valley & North Park.